Honeywell Integrated Security the manufacturer of the Prowatch Security Management System have again in 2019 awarded Nova Integrated Systems Ltd the level of Platinum Certified Dealer,the highest possible accreditation recognising the substantial investments in comprehensive training on the full suite of Honeywell Integrated Security products and Microsoft Operating Systems / components. The award is based on continuing strong project management skills, CAD capabilities and a proven record of customer satisfaction including the following elements. Nova are proud to have achieved this accreditation again in 2019 continuing its long association with Honeywell. 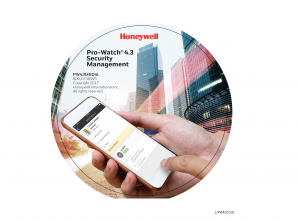 Introducing Pro-watch 4.3 with a new mobile application for iOS and an open platform for greater third-party integration. This latest version of Pro-Watch builds on the success of previous versions using existing and installed equipment. Plus, the new mobile application lets users manage time-sensitive access rights, critical alarms and more! Honeywell Integrated Security the manufacturer of the Prowatch Security Management System have again in 2018 awarded Nova Integrated Systems Ltd the level of Platinum Certified Dealer,the highest possible accreditation recognising the substantial investments in comprehensive training on the full suite of Honeywell Integrated Security products and Microsoft Operating Systems / components. The award is based on continuing strong project management skills, CAD capabilities and a proven record of customer satisfaction including the following elements. Nova are proud to have achieved this accreditation again in 2018 continuing its long association with Honeywell. Products from the Schlage, WSE, Westinghouse & Nexwatch SEEP protocol range including models 808, 818, 4100 & Star 1 have reached end of Life in 2013. The manufacturers have recommended migrating all SEEP protocol based systems to the latest PW 6000 series controllers to ensure continuity of system support and parts availability.